This is a sponsored post in partnership with Crest. All opinions are my own. Grab This Quick Deal on Crest Radiant Mint Whitening Toothpaste. 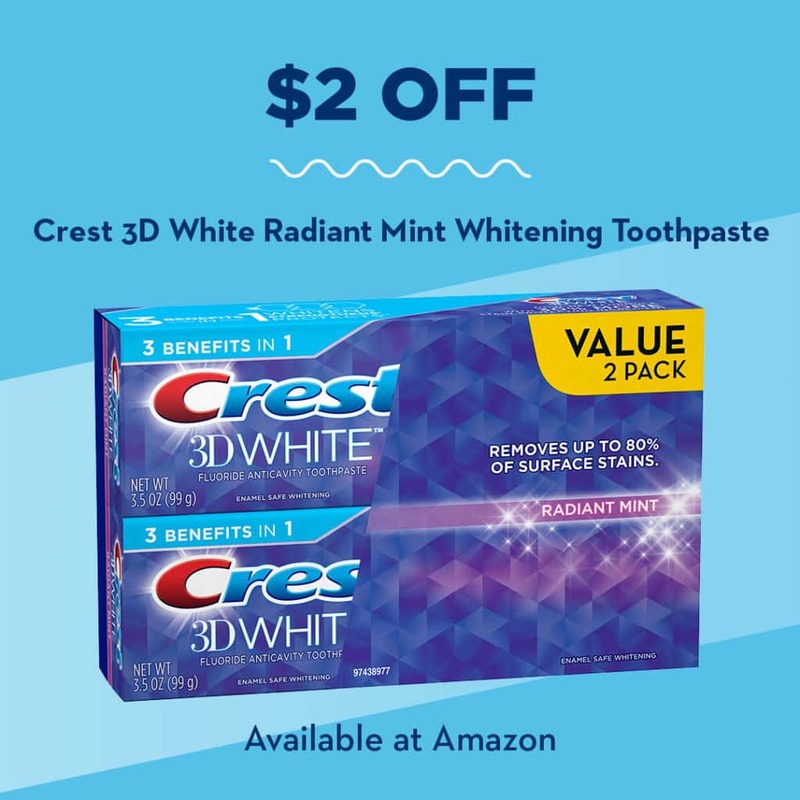 There is a $2 off deal on Amazon.com for the Value 2 Pack Crest 3D White Radiant Mint Toothpaste starting today 12/17, through 12/19. Quick Link to the Crest Radiant Mint Whitening Toothpaste deal. As a blogger, I get invited to a lot of fun events throughout the year. However, it usually involves being photographed and I always wish my teeth looked whiter. I drink a lot of coffee and tea which doesn’t help. My teeth are on the sensitive side so I can’t use some of those harsh whiteners. I’m glad I got to try this product. Now I don’t have to feel so self-conscious about my smile. Make Your Smile Healthy and Beautiful! 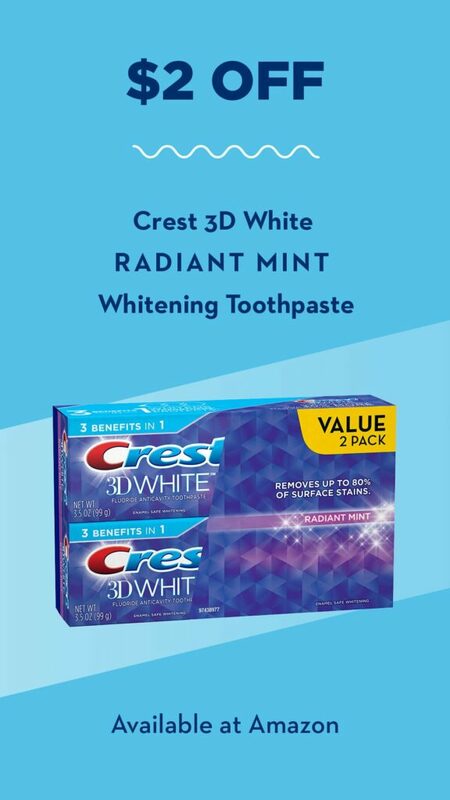 While you are finishing up your holiday shopping on Amazon.com, be sure to add Crest 3D White Radiant Mint Whitening Toothpaste Value 2 Pack to your cart to take advantage of the $2 off deal from 12/17, through 12/19. Follow along on social media with #ChooseSmiles & #ChooseCrest.